They look comical and vaguely Salvador Dali-esque today - but they must have scared the pantaloons off people during the Black Plague! 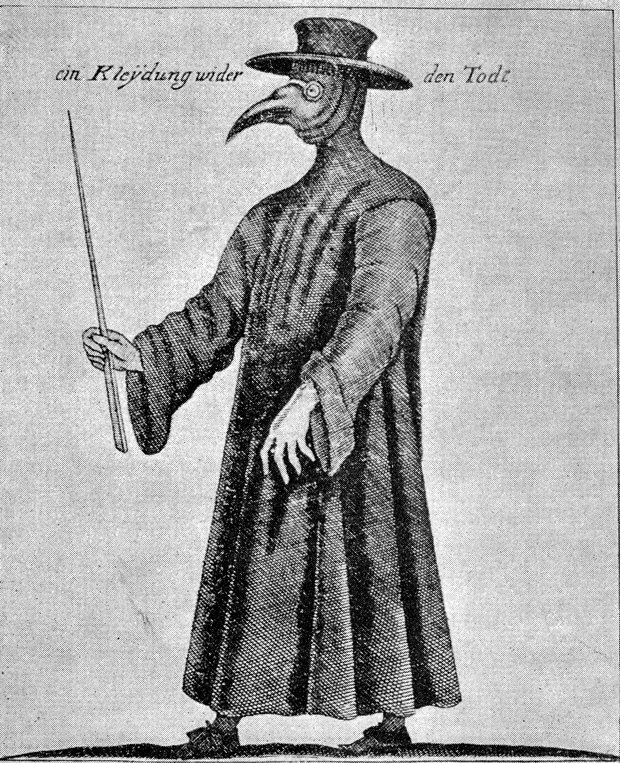 So why did medieval plague doctors wear bird-like masks? Re: Why did medieval plague doctors wear these surreal strange bird-like masks? Ooo, a question I know the answer to! The end of the 'nose' was filled with fragrant herbs which, it was thought, would help counter the infection and stop the doctors from catching the plague. Thanks, Duff. Nice to know that herbal medicine was being practised back then. I can just see a medieval plague doctor stuffing his beak with herbs and saying to himself "And if these herbs don't work, come back and see me in a week or two".